What are Lean Brain Boosters? If you would like to purchase Lean Brain Boosters or for more info, please email us your quantity requirements and shipping details to: info@leansystems.org and we will get back to you within 24 hours. Lean Brain Boosters teach the fundamentals with a light touch. 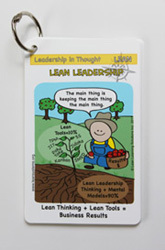 They're a great teaching aid that complements your Lean library. 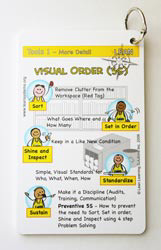 Many of our clients use Lean Brain Booster Cards in their in-house training, giving participants a useful take-away to reinforce what they’ve learned. 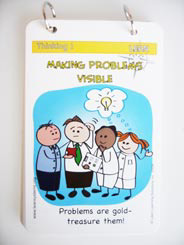 Lean Brain Boosters also support a range of group activities including gemba walks, audits and personal reflection. 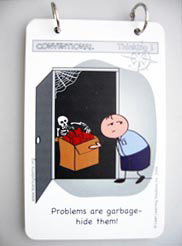 Each suite comprises of 12 pocket-sized cards with a mix of images and text. How Do Lean Brain Boosters Help? 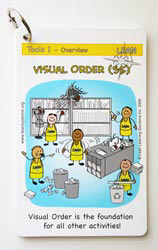 A great teaching aid to complement classic Lean books like Lean Production Simplified, The Toyota Way and others.